The study by Lloyd’s and the Centre for Economics and Business Research lists the average value of one England player as more than the whole Costa Rica team. The insurance-related figures are based on club earnings and endorsement incomes of the 23-man World Cup squads. The 32 teams at the finals have a collective estimated value of £6.2bn. Germany, boasting Toni Kroos, Philipp Lahm and Mesut Ozil, top the list at £642m, with hosts Brazil, who can call on Neymar, Hulk, Oscar and Dani Alves, fourth at £448m. I wonder how Ireland would fair on this list…. 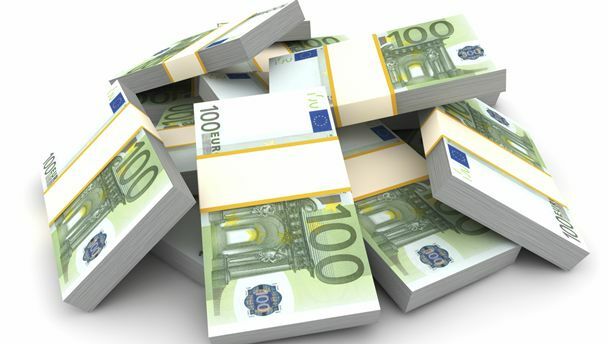 Remember, you can see all this cash in action live on Aertv on both RTE 2 and RTE 2 HD. Sign-up now and get your first month completely free. So that means you can watch those 11pm games from the comfort of your bed in brilliant HD.